Posted By:Unknown | At:3:20 PM Be the first to comment! Tavis Smiley sat for a very insightful interview with the website TheGrio.com where he touched upon the criticism he has received because of his opposition to President Obama. Smiley insists that what he is doing is not being critical of the President, but rather holding the President accountable, which he feels is his job. He said he'd done the same when it came to former president Bill Clinton, and former President George W. Bush and his father, former president George H.W. Bush. "My job has always been to hold presidents accountable to the best interest of all Americans but specifically and unapologetically for [African-Americans]," he said. And he added, "the question is not why Tavis is saying what he's saying, it's why you aren't saying it. It's not why [Dr. West and I] are doing a poverty tour, it's why you aren't doing a poverty tour." "It's just funny to me that people get more riled up and more excited and more angry about what I may or may not say about the president than they do about the crisis in black boys. 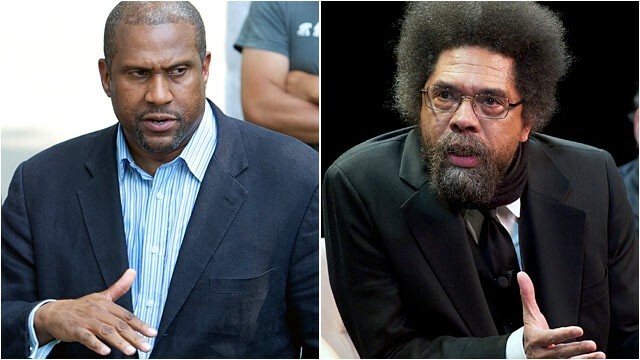 If Negroes could get half as mad at what black boys are enduring as they do when Cornel West or Tavis Smiley says something, we might get something done."